Ukraine is located in Eastern Europe. It shares borders with Russia, Belarus, Poland, Slovakia, Hungary, Romania and Moldova. The official language is Ukrainian. Below is a selection of resources for searching for employment opportunities as a foreigner in Ukraine. Work.ua: Work.ua is a great site to use to kick off your Ukrainian job search. 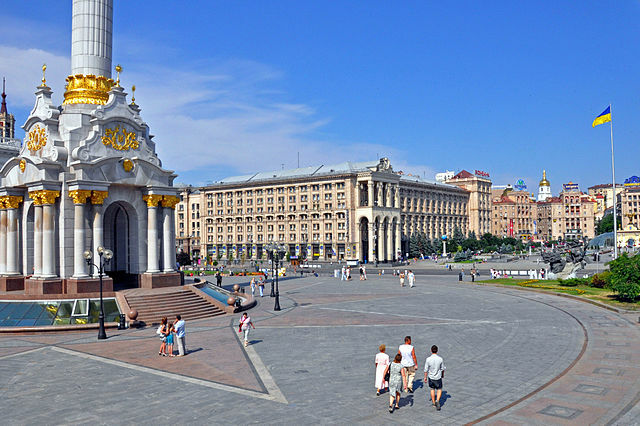 Glassdoor: Glassdoor has a bunch of opportunities in Kiev. Jooble.com.ua: Jooble.com.ua has a funny name but has serious job postings. The interface is a lot like Career Jet. Does anyone know what kind of animal that mascot on their homepage is??? Jobs.ua: Lots of job postings. Take a look after you have gone through the options above. Rabota.ria.ua: This site is pretty intuitive. The home page is a bit busy, but don’t be deterred. Career Jet: I’m sure you are familiar with this giant search engine. They have opportunities in Ukraine. Learn 4 Good: Learn 4 Good tends to have quite a few teaching positions, but I’ve seen jobs posted for other sectors as well. Teaching English will be your easiest option (if you are a native English speaker that is). All of the sites below are pretty similar and have a massive amount of teaching English job options. Browse through each of the sites for any Ukraine job opportunities. Also, be sure to check out this cool table from the International TEFL academy that shows how much money teachers can expect to make in various countries around the world. Recruiting Blogs page talks about finding a job in Ukraine. Expat Arrivals discusses moving to Ukraine. There you have it. The best places to find jobs in Ukraine as a foreigner. For information on visas for Ukraine, be sure to check out my Ukraine visa page. If you are looking to spice up your dating life, check out my list of the best online dating sites in Ukraine.